We have finished a few more knives already this week, and several more very close behind. 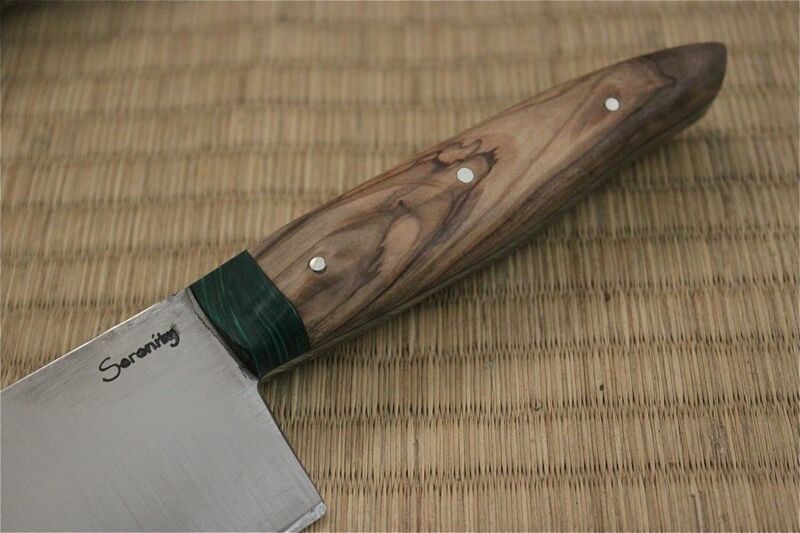 This is a custom Japanese Style Steak knife. And a beautifully finished Chef's Knife. Here is the handle detail, Olive wood handle with Malachite bolster. And a shot of the green liner between the handle and the tang.